The foundation creates the base for your home. It is usually the first thing to be constructed and a lot of time and effort goes into the same. It has to be well done so that the whole construction does not have any issues. There are different types of foundation used in various structures depending on a variety of factors. The layout of your home and terrain are the main factors considered when choosing the ideal type of foundation. However, you can always get a contractor for house restumping if you feel the foundation is not sufficient for your home. There are two basic types of foundation. They are the deep and shallow foundation. Shallow bases are used in light semi-permanent structures while the deep ones are made to last for years and support heavier and multi-floor structures. 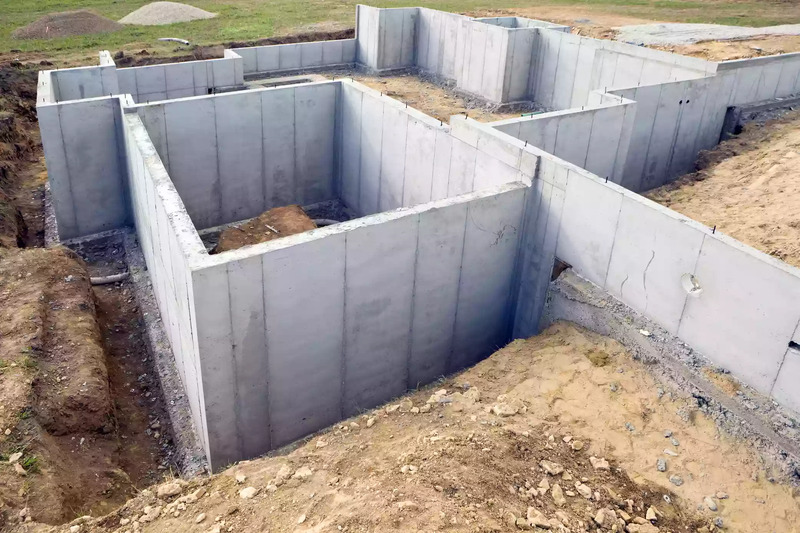 After these two types of primary foundations, there are a variety of other types of foundations that you can choose from based on a couple of variables which are determined before construction can start. A basement foundation is laid at least six feet underground allowing space between the base and the first floor of the house. You can have it constructed anywhere, but it is best in icy places. It helps when the foundation is under the frost level so that it may not be affected by the extra moisture in the soil. This type of foundation is done using concrete, but it may also be done using concrete masonry units or concrete forms. You can either have a full or daylight basement constructed depending on what you want. The difference between the two is that the daylight foundation allows you to install large windows and doors that bring in natural light. Needless to mention, such a decision will increase the cost of construction significantly but it also increases on the amount of livable space. It is a type of foundation that also creates a space between the base and the floor of the house. The area is usually smaller than that of a basement hence the name. There are short foundation walls that hold up the house, but they don’t create enough space for someone to live in. In fact, the space is just enough for you to crawl through. They are made using concrete or mortared concrete that make it strong enough to hold up the house. Because of the limited space and technicality of constructing this type of foundation, crawlspace foundation is cheaper than basement since you do not require the full walls that cost more to construct. If cost is a problem and all other variables are favorable, you can consider a slab foundation. It is the cheapest of alternative and the most used type of foundation. It is made using concrete that is poured to about six to eight inches thick. It is poured on to a surface that has gravel which not only makes it more stable but helps in drainage. Unlike the basement and crawlspace, there is no space between the base and the floor of the house. It is suitable in areas with a high water table meaning that the water is higher up in the soil hence digging a basement would not be suitable. It can also be made with frost protection which is done by installing insulation. That helps in protecting the ground from freezing thus reducing the risk of cracks. It uses concrete piers that are put deep into the ground to hold up the house. This type of foundation does not rest on the ground. It is usually elevated to about 18 inches and creates a small crawlspace like feature between the house and the foundation. The crawlspace is great for housing the utility features of the house including heating and plumbing. It is also an affordable option for homeowners however it is only preferred for small homes. It is not the best option to use in earthquake-prone areas since it won’t hold up. The foundation is not set deep in the soil making the house vulnerable in case of an earthquake. Some places have a higher water table than others. In such areas, a basement foundation would not be suitable since you risk constantly flooding the basement. That is why you should involve a contractor that can help you determine the water table level and advise you on the best option. Depending on how complex the construction is, the price will differ. However, the type of house determines what options you have. Basement, slab and crawlspace foundations are great for supporting large houses even though they are costlier than a pier and beam option. You should have a soil investigation done before you settle on the best type of foundation for your house. The soil affects how the foundation will settle. It is a huge factor to consider and once that has to be taken seriously. The moisture content and capacity are all important things to have in mind since that will affect how the foundation will turn out. If you are constructing a semi-permanent structure, then you should use a cheaper and shallow foundation. For permanent buildings, it is best that you invest in a deep foundation that will last and offer ample support over the years. Unless you are a licensed contractor or you have experience in construction, it is difficult to know the type of base that will suit your house. It is for this reason that you need to involve an expert, especially for permanent buildings.